My Happiness 107 - Misc. 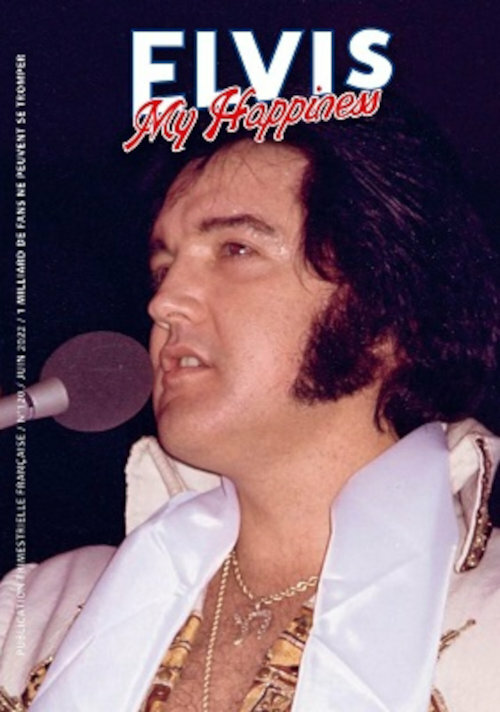 Last week the French fanclub magazine Elvis My Happiness arrived. It has special attention for the release of the book/CD combination for the 60th anniversary of Elvis' visit to Paris. There's also an article on (Elvis and) Gene Vincent, the Coco Palms Resort on Hawaii and a huge article on Wild in the Country. Of course all regulars like reviews and news are available too, plenty to read if you understand French.